My Birthday Pressie Arrived Today! My birthday pressie arrived today, a pair of Draggin Jeans Camos in the Molten Red 🙂 and I absolutely love them! Fit wise (size 10/28″ waist) they are spot on for me, they are really comfortable when riding and I definitely felt a lot cooler in them on the way back from the bike shop after picking them up. Oh, by the way, that isn’t me in the photo, I’m more of a girl type shape 🙂 Mind you, I wouldn’t mind having that bike though! Here is a bit about them from Draggin Jeans’ website. Permanently lined with soft Kevlar® lining. Made from the best quality heavy weight drill fabric – very comfortable to wear. Designed from the most popular fitting styles for men and women. Cut long in the legs. Our own precision engineered button. Large Velcro fastened pockets at knees, 2 pockets at waist, 2 pockets on backside. They come in a range of colours as well, so there is plenty to choose from and you will probably find a pair which will go with your bike, or at least not clash with it. Maybe that’s a girl thing but you never know, it may be important to guys too! and of course my Molten Red! I hope I never have to really ‘test’ how good they are, but if you want to check out how they stand up to tarmac check this out! That’s a pretty fair product test, don’t you think!!! I’m one very happy lady this evening.. The government and the DSA is under increasing pressure to rethink the new motorcycle test after a series of accidents in it’s first few weeks. On the very first day one young man, in South Yorkshire, suffered a broken arm after crashing while trying to slow in the wet immediately following the new ‘swerve’ manoeuvre, and since then 14 more accidents have been reported. There was one additional, as yet unreported, accident yesterday when a young lady training at my old bike school also fell off doing the same manoeuvre. Luckily she was not hurt but was shaken up and bruised. 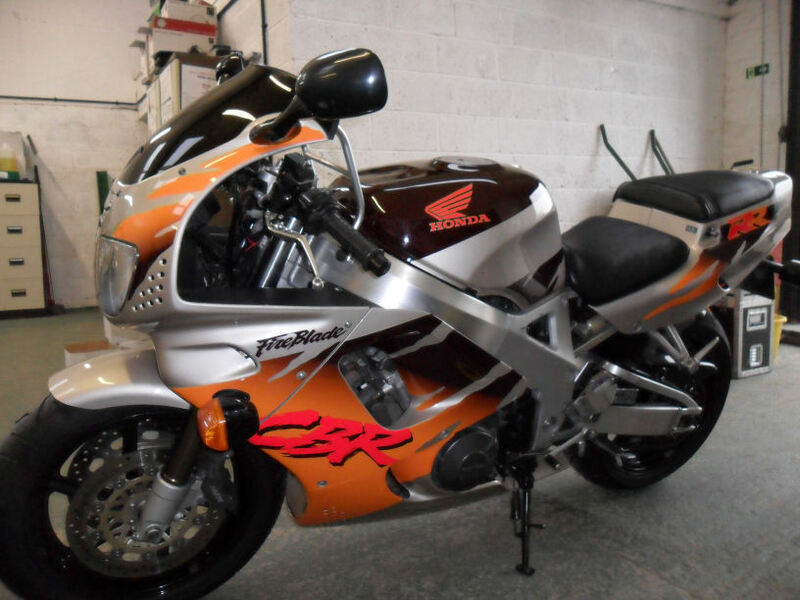 Instructors, and bikers who have emailed the BBC, have said that trying to perform such a manoeuvre at 31.2 mph (50 kph), while possibly suffering from test nerves, is dangerous, especially when performed on a wet surface. While the test would probably be fine when done in the dry, new riders who may be tempted to brake and swerve at the same time are likely to come a cropper when trying to do this in the wet. 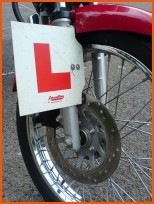 Bikers are taught very early on in their training that braking when not going in a straight line is a BAD thing to do, and even though the trainees taking their tests are undoubtedly taught the same thing, test nerves may be getting the better of them. The swerve/avoidance test – just simply getting up to the required speed (as on my first run) will catch some out, others will swerve and brake too soon and too hard simultaneously with the front brake and bin it. Somewhat prophetic words I think, considering what is happening on the tests now. “There is no real argument with the actual test, but the DSA really do have to take note of ‘real world’ conditions. Expecting novice riders to perform the manoeuvre at the same speed whether it is sunny or chucking it down is going against the instruction we are given as learner riders. All riders are taught to ride according to the prevailing conditions, something which helps us to stay as safe as we can out on the roads. We are taught to slow down in the wet, and increase stopping distances, but the DSA is overturning the training and asking new riders to hammer it coming out of a bend towards the swerve part of the test! Boy, am I glad I passed my test in February 2008, before the new test came into force. I wouldn’t want to be tackling the new test. Police were attempting, again, to get this years event cancelled in the interests of ‘public safety’ for the people of Warwickshire. Stratford council rejected the application as they felt there were insufficient grounds for justifying a review, and overturning last years decision to grant a ten year licence for the event. This is one great looking Joe Rocket Textile Jacket for us girls in the summer.. It is available from TopGear Superstore, here in the UK, and is currently on offer at £121.49, reduced from £134.99, with free delivery. Click on the images to be taken to the pages on their website. I particularly like the design on the sleeve, adding that touch of individuality. The jacket has a Free-Air poly/mesh outer shell which gives maximum ventilation and has a removable spine pad as well as CE rated armour in the shoulders and elbows. The jacket has a removable waterproof liner, which helps to make a stunning looking jacket a very versatile piece of kit. Carrying Your Kids As Pillions!!! I decided a few weeks ago that it was about time I tried my kids, aged 10 and 11, on the back of the bike. We don’t own a car, so being able to take the kids places on the bikes would make life sooo much easier, and give us so many more opportunities to do things together. 3) They are growing like weeds and it probably won’t fit in 6 months! So armed with a reasonable-ish amount of cash I managed to pick up an armoured leather jacket for just under £20, a pair of proper kids bike leather trousers for the same amount of money and boots too. The crash helmet was bought brand new. As for gloves I have a pair of x/s Joe Rocket gloves which, while too small for me, are perfect for the kids. Wednesday afternoon, after school was D-Day (YIKES!! ), after checking I was covered for carrying pillions on my insurance. I took both kids out (separately of course) on the bike for the first time. I laid down the rules before we went out, told the kids what they can and can’t do and off we went round the streets near my house. 2) It was my kids on the back! I took it nice and slow, getting used to the extra weight on the bike and remembering from my lessons about how carrying a pillion affects braking, etc., but after we had ridden round for a bit I was feeling a lot happier about the whole thing. I stopped a few times on the way round to make sure my kids were ok and that they weren’t frightened at all, but both of them were fine. I now see what other riders mean when they say about carrying a pillion. Your attitude to your riding does change, you are a damn sight more careful as you are no longer responsible for your own life, but that of your pillion as well. So far I have really enjoyed my excursion into carrying a passenger and hope to have many more years of pleasure, being able to share my love of bikes with my kids. My daughter is already asking when she can have one of her own! I’ve had quite a few queries about where to find Joe Rocket jackets and gear here in the UK, so I had a bit of a hunt round and come up with these at www.FL1.Co.UK. A one piece suit which is proving to be a best seller. A high quality and good fitting suit at a great price. Apart from these suites they also do the Joe Rocket Meteor 5.0 Jacket, the Joe Rocket Mercury Jacket, the Joe Rocket Mercury Trousers, the Joe Rocket Alter Ego Jacket and trousers, as well as a couple of pairs of gloves. I came across these today and thought I would pop them on here.. I found them on The Motorcycle Industry Association’s website and thought they conveyed the information in a way which makes you giggle, while still getting the point across.. Apparently there are more to come and I will add those as they appear on the site. You are currently browsing the Blade Rider blog archives for May, 2009.